'Oral Suspension' by David Blyth & Nick Gordon for Look Again Aberdeen! If you haven't been down to the new Look Again Project Space yet then I suggest you make some space in your diary and check it out. Located on St Andrew Street, the space will play host to a series of events and exhibitions in the build up and during this years Look Again festival set to take place in June. 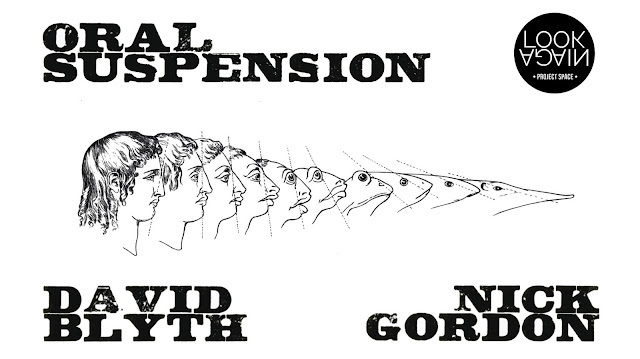 Kicking off this month we have 'Oral Suspension' a collaborative exhibition between David Blyth and Nick Gordon which investigates the rather spectacular and strange ray fish, the skate, as its starting point. If you're not familiar with David's previous work then I highly recommend a quick google search, his installation piece 'Knockturne' at Aberdeen Art Gallery being a particular favourite of mines. Having graduated from Grays under David's guidance, a google of Nick Gordon also throws up a host of interesting projetcs. See I quite enjoy this aspect of the blog, the research and discovery side which often throws up some fun tangents to explore. And its that idea that flows through the work created for 'Oral Suspension' as both artists look to explore the many mysteries of the Skate! The show is filled with a vast array of work from miniature sculptures, assembled objects, prints and real skate specimens housed in glass cabinets. I managed to attend the artist talk last week and was delighted to hear David speak first hand about the project and the interesting narratives revealed through their research. Tales of angelic skate being captured by randy fishermen and regarded as a great prize had the audience almost in tears while David's own tales of feeling a little lost with his art practice really hit home. Thankfully this project has thrown up a load of rich source material which the pair have crafted into quite a spectacular exhibition. And its huge, work stretches across both floors with some fantastic installations to be found in the basement which reference the strong fishing heritage of the North East. My favourite piece was perhaps the simplest in the show, an up turned sand castle bucket with a light under it, gently emitting its pink light from behind a brick wall, drawing us in much like the skate has done to the artists. For those not in the know, skate is a smallish flat fish that looks quite like a sting ray but minus the sting. Its an interesting species that has quite a checkered history in the North East fishing communities but is also an interesting symbol, appearing across many artworks throughout history and seeming to posses almost super natural powers in some circles. Indeed even the artists have taken their research to the next level by taking Skate liver oil pills for the duration of the project, 8 months and counting. So far David notes no visible benefits or side effects beyond smelly burps but perhaps time will tell, keep an eye out for those gills! 'Oral Supsension' is a great opener for this years Look Again festival and the Project Space will be a great addition to the city. 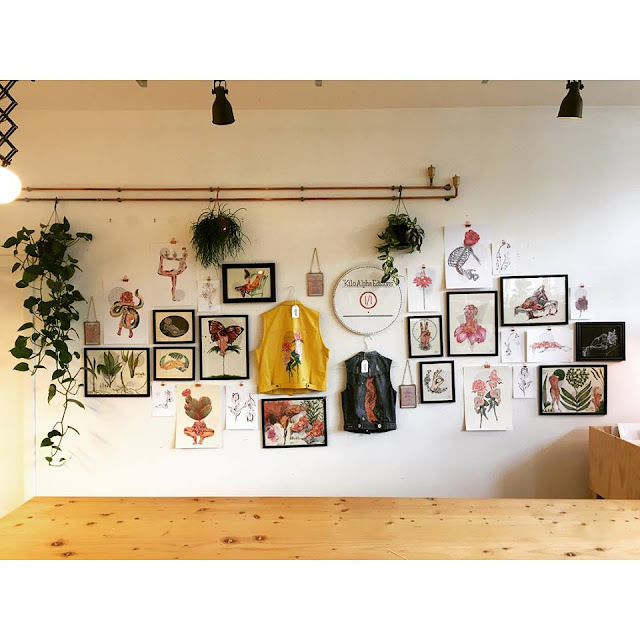 The show runs until Sunday 24th March and there's a special Gyotaku printmaking workshop taking place on the 16th March, more details can found here. Kekun Residency # 1 with Studio No Name! 100% Skateboarding - Jake Phelps! Mood of Collapse x 10 at Kekun Studio!